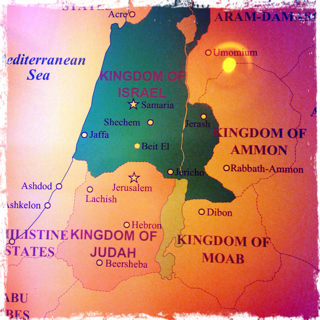 A Tale of Two Kings (Part 2): How does God intervene? Recently we looked at how bleak the situation was in Israel and Judah in 2 Kings 9-11; yet, no matter how bleak, the situation can never be too bleak for God to intervene and fulfill His promises in Christ. And God did intervene. He intervened in Israel and He intervened in Judah. In Israel God sent His prophet to Jehu. And the prophet took the Word of the Lord. That was the catalyst: the Word of the Lord. And God worked powerfully by His Word. God’s Word set everything in motion. God’s Word caused people to act. You see, only one thing had changed in Jehu’s situation, and that one thing was that he heard the Word of the Lord. Jehu didn’t suddenly increase in military might. He didn’t suddenly have opportunities that weren’t there before. No, Jehu’s coup was fuelled by the only by the Word of the Lord. That’s what God’s Word is like. It’s so powerful that it can bring down kings and governments. And yet, we often don’t even trust it with much less difficult things than that. God’s people need confidence in the power of God’s Word, or rather, in the power of God in His Word. For it’s through His Word that God brings life. It’s through His Word that He grows the Church. It’s through His Word that He brings holiness. And God worked by His Word to destroy the House of Ahab, the evil king who had led Israel off after the Baals. The entire house of Ahab is cut off (2 Kings 9:24-10:17). God’s new anointed king delivers his people from their evil rulers. And this is the Lord’s work (2 Kings 10:10): God’s judgement on the house of Ahab, God’s deliverance for his people, and God’s intervention to turn things around. And not only is the house of Ahab overthrown, but their foul religion as well. The Baalists are killed (not a killing spree, but an execution in accordance with the law of Moses), and Baal’s idols and temple were destroyed (2 Kings 10:26-28). Not just destroyed, but turned into a latrine – for that’s what Baalism was and that’s what it had done to Israel! ‘Thus Jehu destroyed Baal from Israel’ (2 Kings 10:28). And God didn’t just intervene in Israel, he intervened in Judah too. In Israel God sent His prophet; in Judah God sent His priest. And Jehoiada the priest and his wife Jehosheba, the baby king’s aunt, act to save the life of the baby king and restore him to the throne. This time we’re not told of any prophetic word, but that doesn’t mean the word of the Lord was absent from the situation. No, the priest and his wife were acting on God’s Word; they knew God’s promise in Scripture and acted accordingly. And as a result of their actions, Athaliah the daughter of Ahab, the queen who tried to put an end to the Messianic line and the worship of the YHWH, is killed and her evil reign comes to an end. And just like in Israel, the priests of Baal are killed and the temple of Baal destroyed. God intervenes in both nations to deliver his people. And he intervenes in both in the same way. How? By His Word and His anointed one. He sends his anointed prophet and priest and two anointed kings. And through the Lord’s Word and the Lord’s anointed, everything is changed. And that’s still where we find God’s intervention today: in His Word and His Anointed One. God sends us His Word, the Scriptures, and as the Scriptures are proclaimed we encounter God’s true Prophet, Priest and King. When we need God’s intervention, that’s where we need to look – to the Anointed One proclaimed in the Word – to the Lord Jesus, God’s Prophet, Priest and King who has intervened and won the victory on our behalf. God can intervene to turn around any situation, no matter how bad. And we can be certain of that, because He has already intervened to turn around the worst situation of all; for while we were dead in our sins, God intervened in His Anointed One, our Prophet, Priest and King, Jesus, to deliver us from death, hell and sin.